(b) (i) Use a labelled sketch to show the safe edge of a ﬁle. 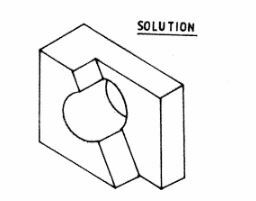 10 Figure 1 shows an oblique drawing of a block. 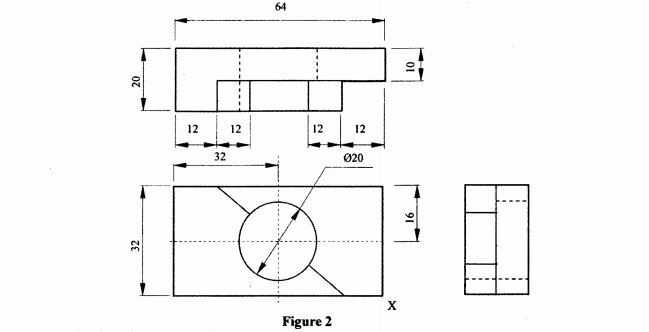 11 Figure 2 shows orthographic views of a machined block drawn in third angle projection. 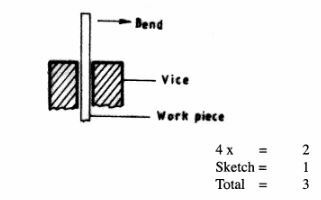 On the grid paper provided, draw the isometric view of the block taking X as the lowest point. 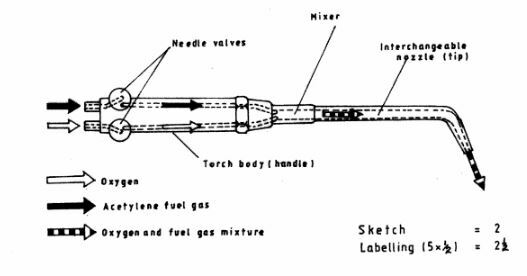 (b) (i) Sketch a pop rivet and label its parts. (ii) List three steps involved in preparing work pieces for pop riveting. 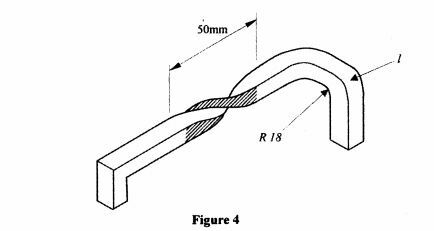 (b) Figure 4 shows a portion of an arm bar made from a 6.0 mm square mild steel rod. 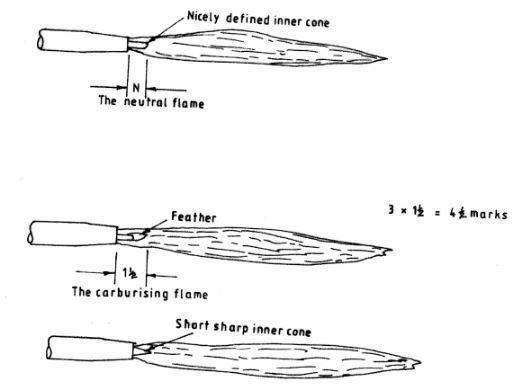 (i) Determine the length of the material required to form the bend labelled l.
(b) (i) Use labelled sketches to show the three types of gas welding ﬂames. Finding the centre of the round bar. The process of joining metals by heating them to melt and fusing together. No berel is required for steels up to 8.0 mm thus less ﬁller metal required/used..
Drills holes Q 18 and Q 25 using a drill bit. File the outline smooth using a ﬁle. (iii) Insert the rivets into the work piece and grip the pin with the rivet gun. Press the gun to pull the pin causing the head to expand the body. Continue pressing the gun until the pin breaks off. - Put the surfaces to be joined together and press ﬁrmly. Gas torch or blow lamp etc; until the solder melts. - Let the joint cool while still applying pressure. - Clean the joint to remove any excess ﬂux. (i) Keep the hot iron away from the body. (ii) Do not put the hot soldering iron on a wooden bench. (m) Liquid ﬂux is corrosive and must be kept away from eyes. (iv) Do not touch a newly soldered joint - The joint may still be hot. (d) (i) Copper conducts heat very well. (ii) Copper retains heat for a long time. (iii) Copper picks up solder very easily. - Ensure that the nozzle seat and threads are free from any foreign materials.